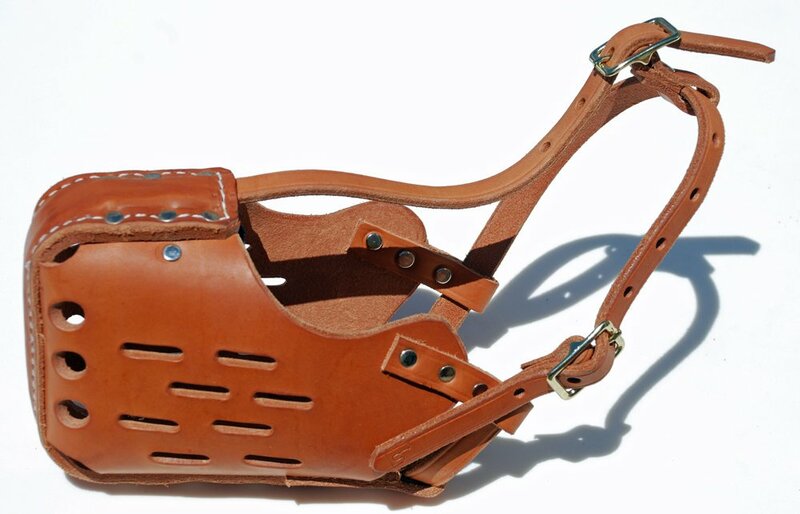 This leather muzzle is the workhorse of the muzzle world. It has a steel reinforced nose piece, heavy leather sides with slots for adequate air flow and a padded liner for your dog's comfort. This Muzzle is a favorite of law enforcement and military working dog handlers. Large size fits dogs 80-100-pound with German Shepherd type muzzles.